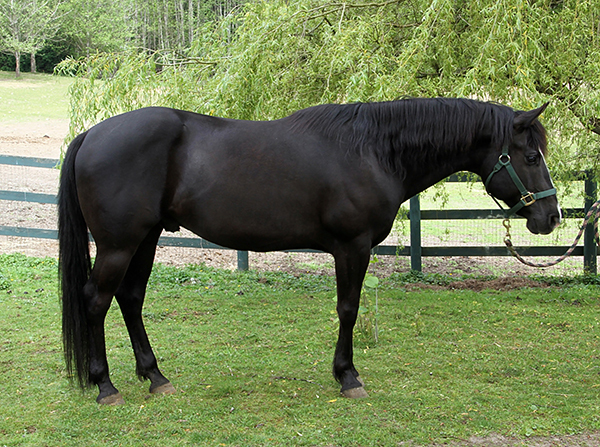 This true black gelding is a busy and robust guy. He was born in 2010 and is 14 hands. He came to us as a stray stallion in early 2015. 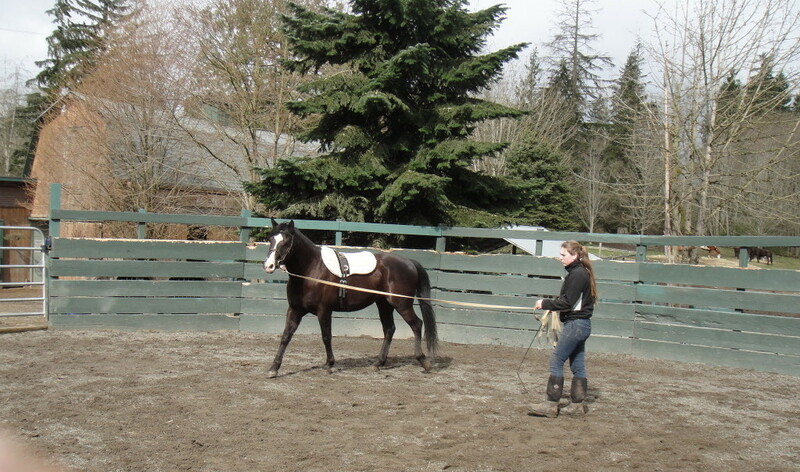 He punctured his pastern and chipped his right/hind sesamoid two weeks after gelding. 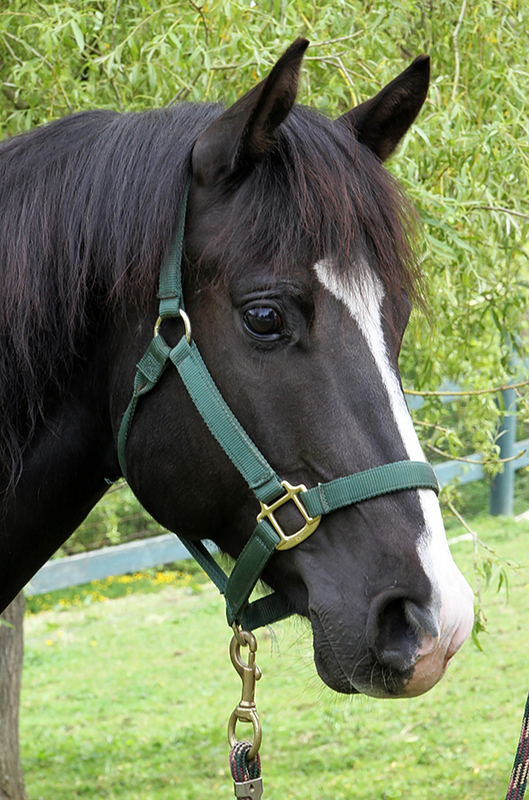 He received extensive care but recovered, in part, due to his bright attitude. He has been ridden in the past but needs a refresher course. He is definitely suitable for light riding, possibly more. Recently his groundwork was re-started. In hand he needs reminders to stay focused. He does not bite or kick. He would also be a magnificent pasture pal! 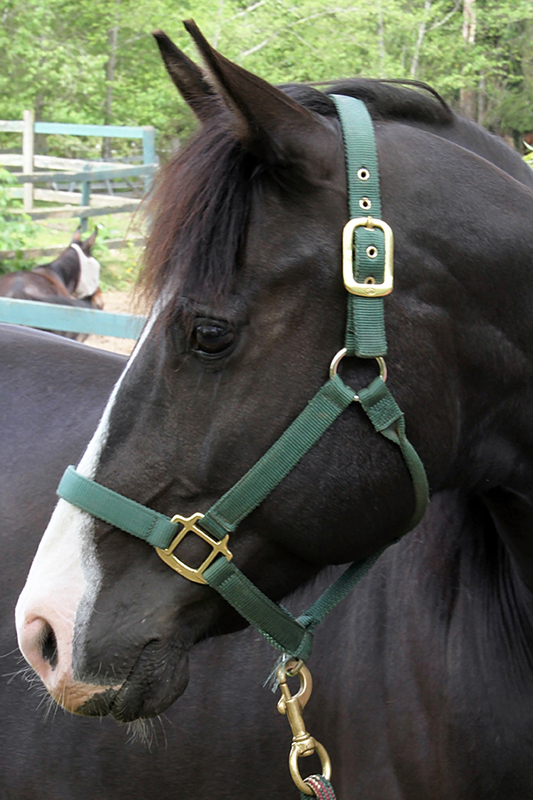 His black color, blaze face and active nature make him a beautiful sight out in the field. He loves to run and play. 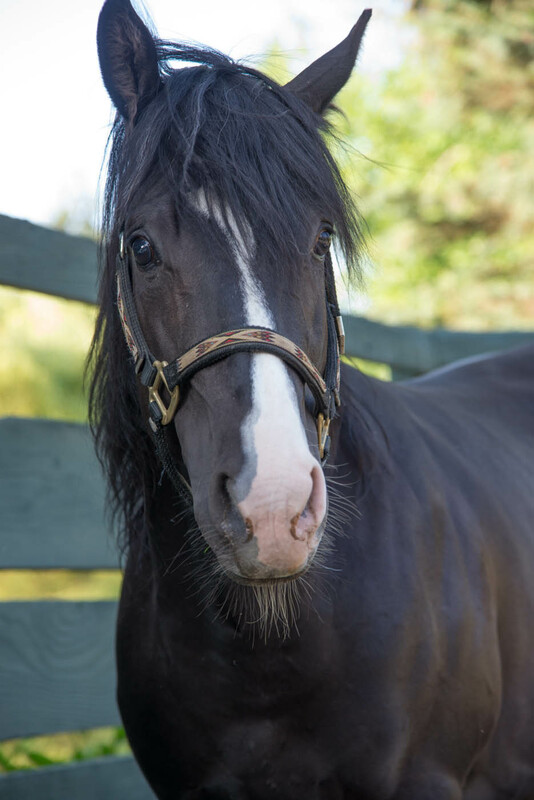 If you are interested in an eager friend with a lot of presence, please contact us at: info@equineaid.org His adoption fee is $300.